Everything looks better with flowers… So whether you’re celebrating the birth of a child, the kindness of a friend, the closing of a business deal, or sending your condolences, there’s no occasion that isn't made more special with flowers from The Rose Petal Floral & Gift Shop. We’re a local Nampa, ID florist with over 20 years experience in designing floral arrangements for all ages and occasions, including birthdays, anniversary, appreciation, bereavement, new baby, holiday, or just because. Our courteous staff is ready to assist you with placing orders for local delivery or anywhere in the world. If you’re not sure what to send, please ask and we’ll gladly offer some creative ideas. The Rose Petal Floral & Gift Shop is open to serve your floral and gift giving needs: Monday through Friday 8:30 am to 5:30 pm ~ Deliveries on Saturday and open 10:00 a.m. to 1:00 p.m ~ Sunday by appointment. Wedding & Special Event Flowers ~ Whether you prefer a look that is timeless and traditional or sleek and contemporary, we will design floral arrangements to reflect the occasion, as well as your individual style & budget. Call (208) 467-2686 to schedule a consultation and let our expert floral designers help you plan an unforgettable event! 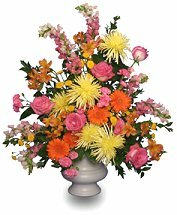 Sympathy & Memorial Flowers ~ Ask our staff about customizing a funeral floral arrangement to a departed friend or loved one. 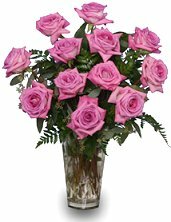 You can depend on us to help you choose flowers that beautifully convey your expressions of sympathy and serve as a lovely tribute to the deceased. We also offer daily delivery service to local funeral homes and hospitals and we accept all major credit cards. All Occasion Gift Ideas ~ Liven up any room or office with an eye-catching dish garden or green & blooming plants. We carry a unique assortment of gift items, including plush animals, balloons, greeting cards, scented candles, home décor, Blue Sky porcelain, custom silk floral arrangements, pictures and more! Call or visit us today… we look forward to meeting you! Thank you for visiting our website with convenient online ordering that allows you to order flowers 24 hours a day ~ Delivered from your local Nampa, ID florist!